Corrected the balance – the whole back needed uplifting. I did this in two places – one at the shoulder to bring up the back bodice, and one at the high hip to bring up the skirt. This made the horizontal and vertical grainlines hang correctly – my tailor’s dummy certainly came in handy here! However calico is the most unflattering fabric in the world, so I am banking on that fact being true. Now, on to those last adjustments so I can finally get cutting! This is really looking good with your pattern improvements. As for the belt, have you tried a wide belt with it? I like the look both with and without the belt. Keep at it! I believe it's the fabric that makes the garment – I'd stick to it too. My question is – how do you fit yourself, as I find this the hardest thing to do. ~Evelyne – with a lot of contortions and pinpricks! I press under one seam allowance of the zip seam, and pin them together by feel. I pin up to the waist area with the opening at the front, swing it around to the back, pin the CB neck edges together, and somehow get a pin in the shoulder region! Big improvement from last time. I quite like the belt. If you want to make it, what if you narrowed the shoulders a little? Would this help the overall look? I think your garment needs to be more figure hugging to be flattering. I agree with Sew4fun that the shoulders should be narrowed. It also needs to taper in at the knees. This is looking great Sherry -can't wait to see more! It is looking great! And I think it actually looks really chic when belted — maybe it is just the calico that is making you dissatisfied with how it looks belted? It looks like it's taking shape! I agree with Rachel — when you make it up in the final fabric it will drape more when belted. It's looking good! I wasn't aware of the Vintage Sewalong but I'm going to have to join, it looks like fun. 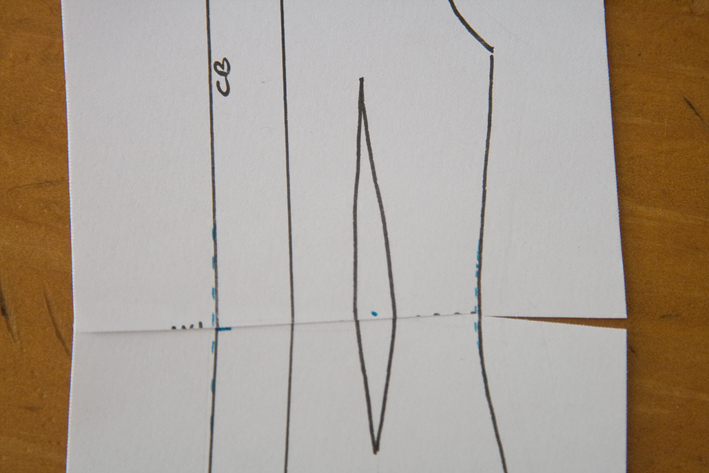 Oh, and it burns me up when I grade or alter a pattern then end up undoing my work after I make a mock-up. It's frustrating! 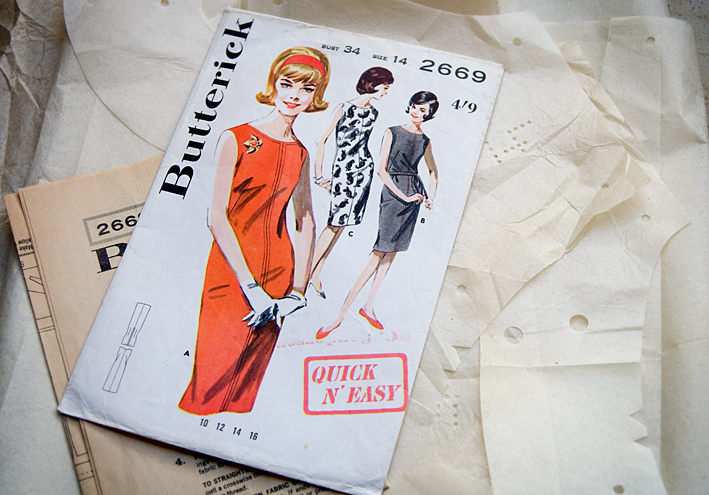 Your dress fits exactly like a vintage 60s shift dress I have! I tried to duplicate it once and nipped it in a bit at the waist –just for my taste. I hope when you “sort out those shoulder drag lines” you tell us how. I have trouble with that myself and don't do a good job at fixing it.